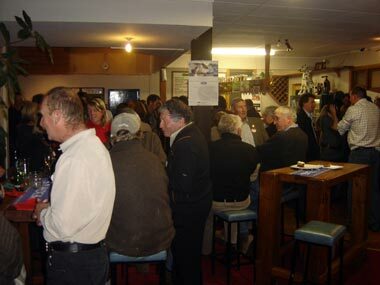 The Chelty has a fantastic handle club with 80 members and many waiting for a handle to become available. Thursday night is handle club night and also the night you will find locals from near and far come to catch up with their neighbour or a mate. 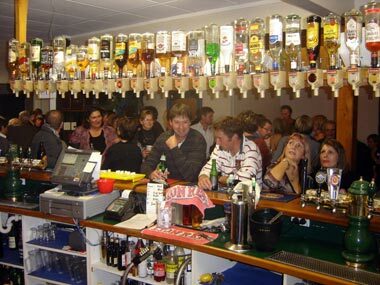 Generations of people have passed their handles down to their children and you'll often see generations of families in the bar in one evening. On a Saturday night you might experience great entertainment courtesy of the local rugby teams or a stag or hen night passing through supplying great entertainment. The juke box is well used and loved. The Chelty social club has recently held a very successful duck shoot competition. Prizes were awarded for best camo, best duck call, heaviest mallard and heaviest paradise duck and the most bars on a pheasant. In 2009 we held a speed shear competition which attracted big names in the sheering industry such as David Fagan and Digger Barns. There was a teams event at the end of the evening, a team of three and one had to eat a spicy hot chilli sausage, one person drank a hot chilli beer then a shearer had to shear a sheep and all being timed. It was a fantastic end to the evening. The night was a great success with a huge crowd and lots of fun had by all. Come and visit the Chelty, have the time of your lives and leave feeling welcome. As we've said in the past "It's the locals pub, we just look after it for them!" Click here to find out about our social clubs.